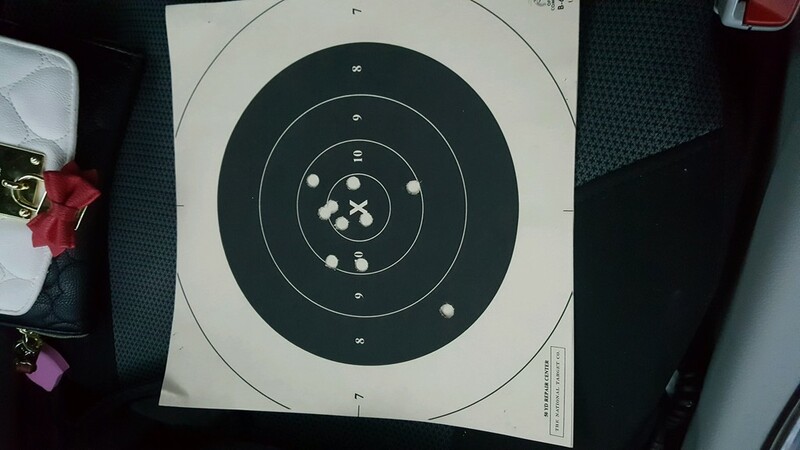 About an hour ago, doing some long line training.. She had an 855 at Saturdays match. It's beginning to show significant promise. I have a similar target hanging on my wall. I think eight is pronounced "ate". Still, 98 Slow Fire with an eight is very good! Only one mistake. Jerry, have you machine rest tested that barrel yet? I'd would have been excited too ! Dr.Don wrote: Jerry, have you machine rest tested that barrel yet? Don't know how I missed your question.. No, I haven't put much into this barrel, other than shooting it.. Her scores went up immediately..and several shooters gather around at saturdays match looking at the sharp precise bullet holes.. No scuff marks at 50 yards... The barrel is a 14 twist.. I did not have anything else available when I made the barrel.. I have a 95% completed 10 twist that I am waiting on a reamer for.. I drew up three different designs and waiting on them to arrive. I am saving the 10 twist for one of those reamers..One has a rather extreme throat by todays standard, and I can't wait to try it.. I am praying it gets here in time for Perry.. Most grinders are at 8 weeks for delivery..